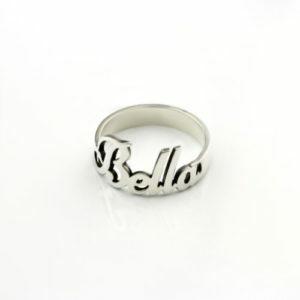 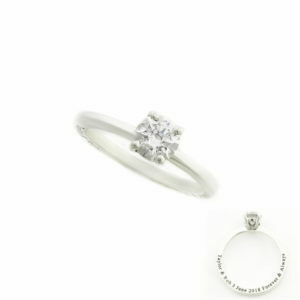 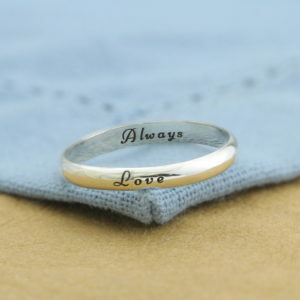 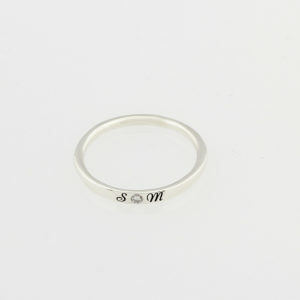 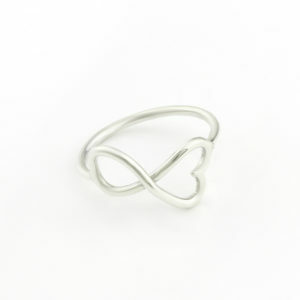 Buy Personalised Gifts & Rings online with Silvery in South Africa. 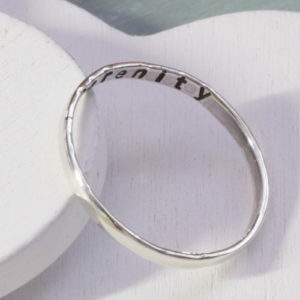 Working with the finest grade Sterling Silver our skilled designers craft exquisite, unique personalised items that reflect your personality. 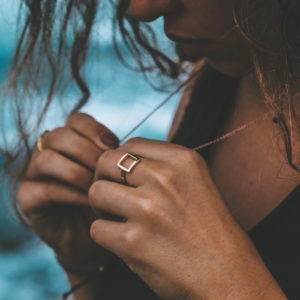 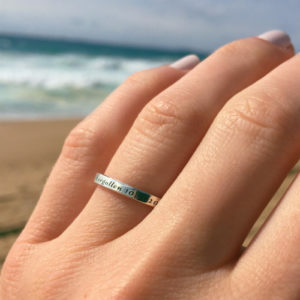 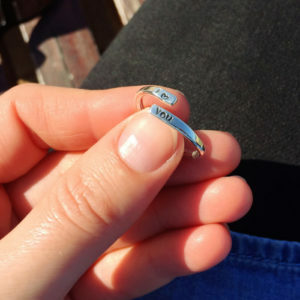 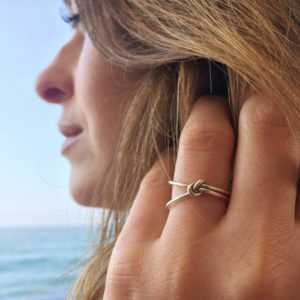 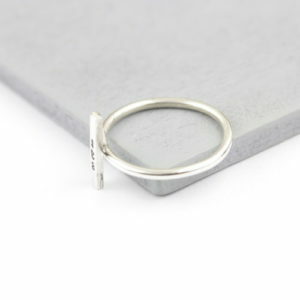 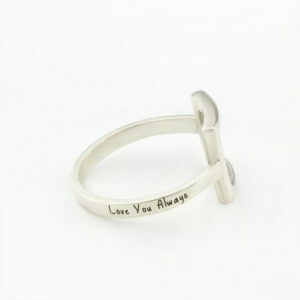 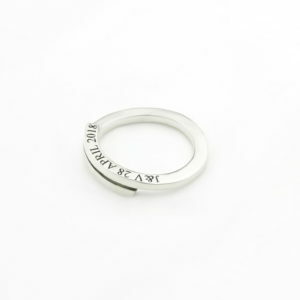 Whether you are looking for that special Sterling Silver ring which can be personalised for yourself or for a friend, say it with a hand-crafted piece from our range of Personalised Sterling Silver Jewellery. 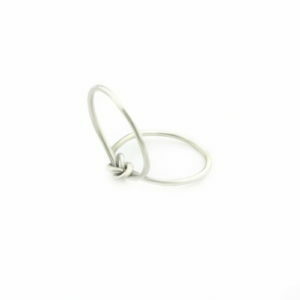 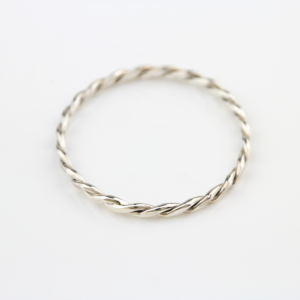 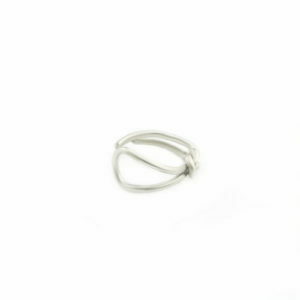 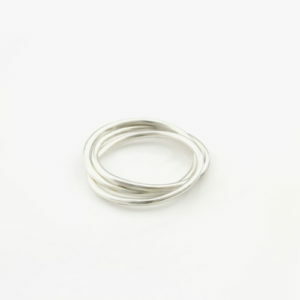 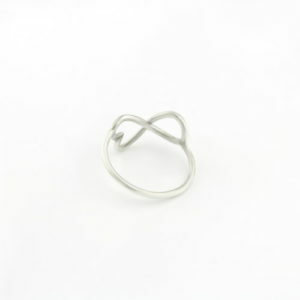 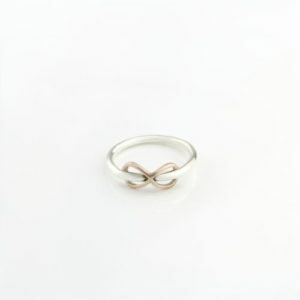 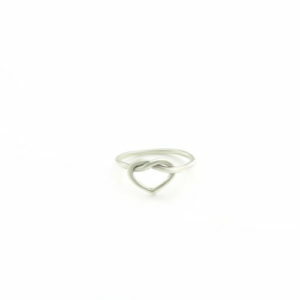 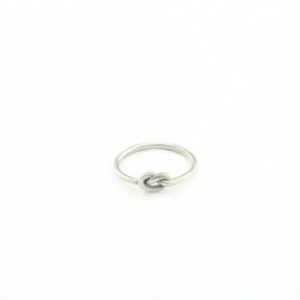 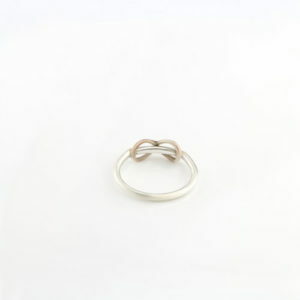 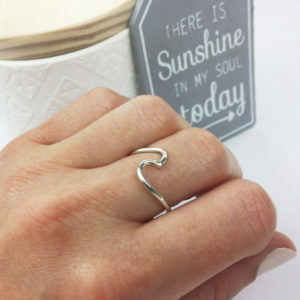 Our range of items include plain Silver rings to Sterling Silver Knot Rings, Sterling Silver Engraved bands, Sterling Silver Promise Rings, Sterling Silver Eternity and Sterling Silver Infinity Rings which can can be purchased online in South Africa. 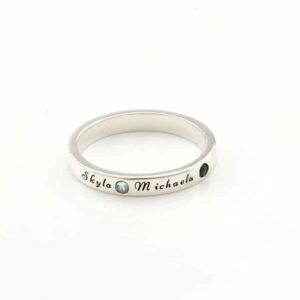 Your personalised item bought online will become a cherished link with priceless memories, while enhancing your personal image. 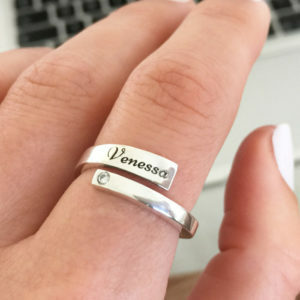 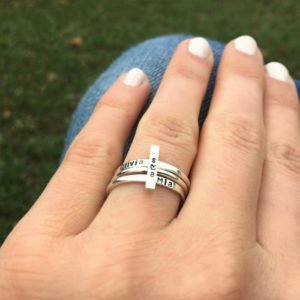 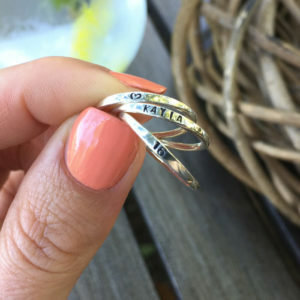 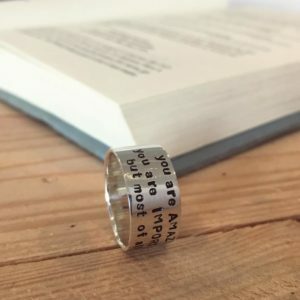 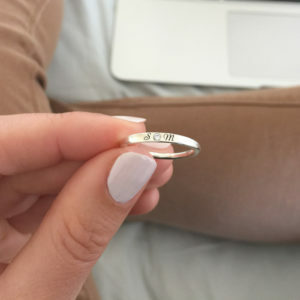 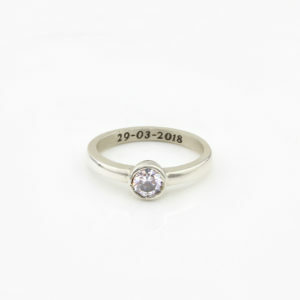 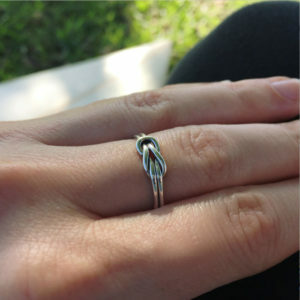 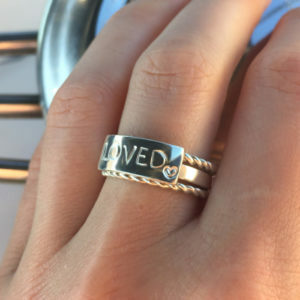 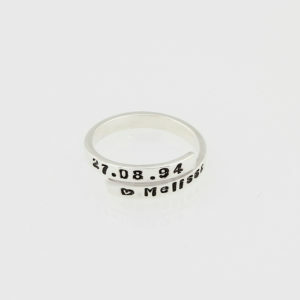 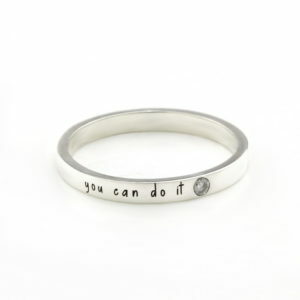 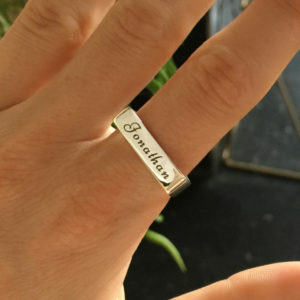 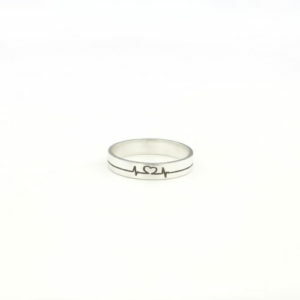 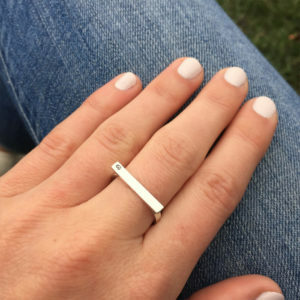 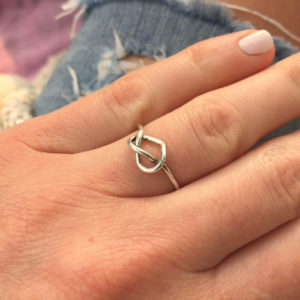 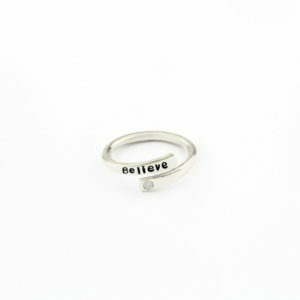 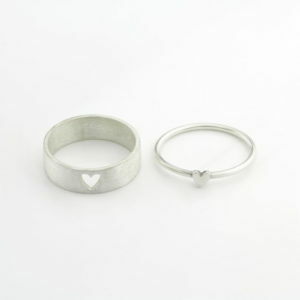 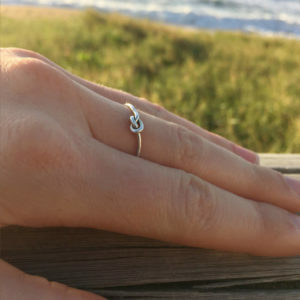 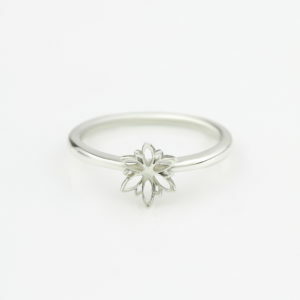 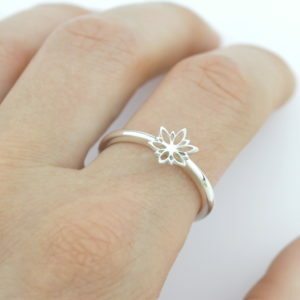 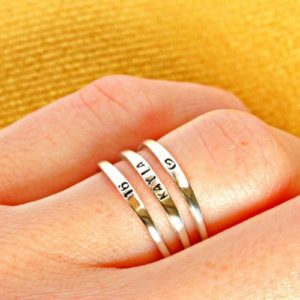 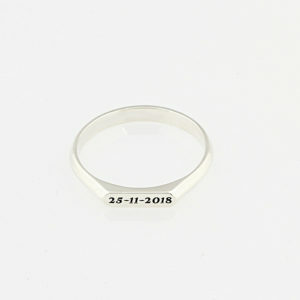 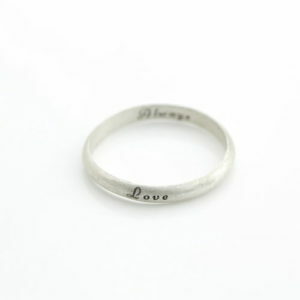 We offer original plain sterling silver rings as well as a unique personalised hand stamped rings in South Africa. 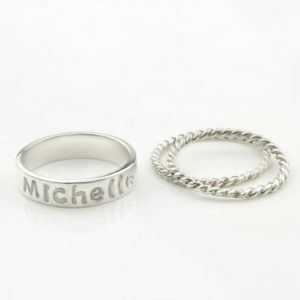 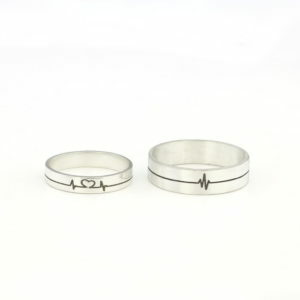 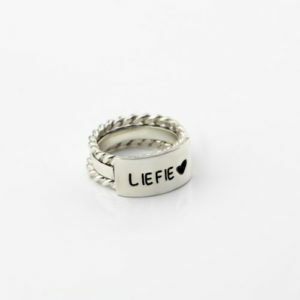 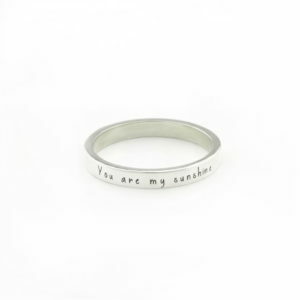 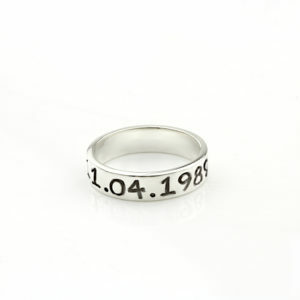 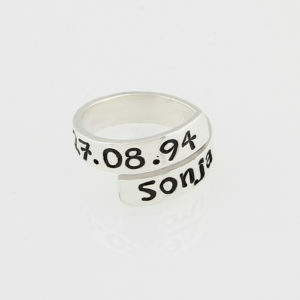 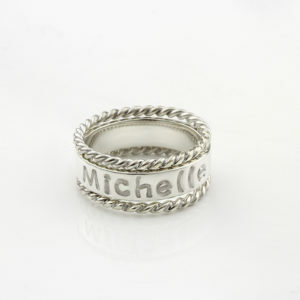 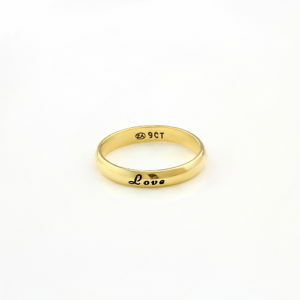 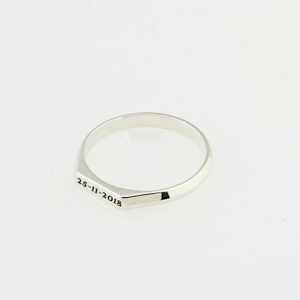 If you prefer personalised bands which can be engraved then we have a wide range of engraved rings for him and her. 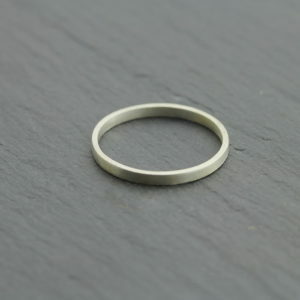 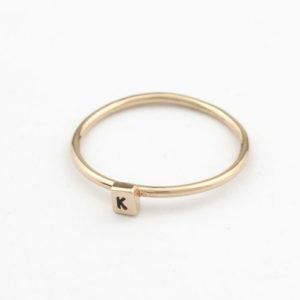 Most of our items can also be Gold or Rose Gold plated to 14kt Gold Vermeil Standards. 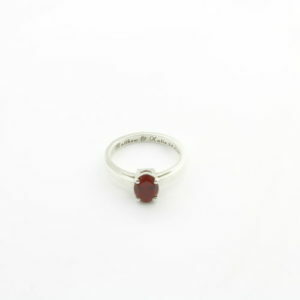 We will make sure that your items are delivered to your door, with free shipping options available. 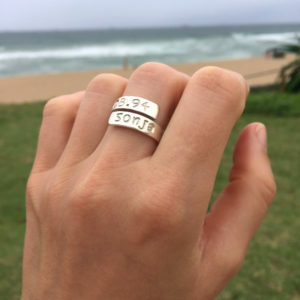 We ship our personalised jewellery online to all parts of South Africa. 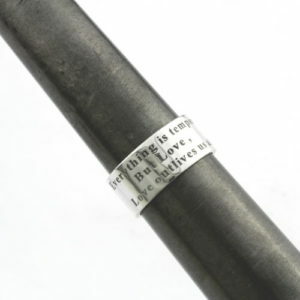 Silvery ships to these most popular destinations Cape Town, Johannesburg, Durban and Bloemfontein, Port Elizabeth and reaches these areas mostly overnight once dispatched from our offices in Durban, South Africa. 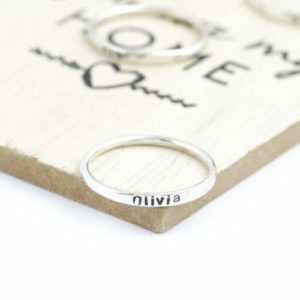 All our items are made to order and can take between 2 -3 days to craft. 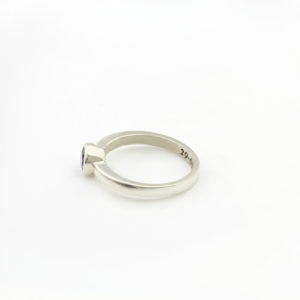 Each item is handcrafted by our skilled jewelers according to your order. 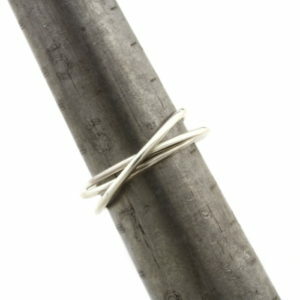 For a minimal fee we can also ship to any international location. 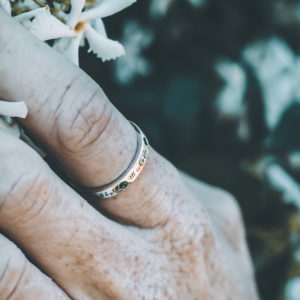 If you require any assistance please feel free to contact us by email on info@silvery.co.za or by giving us a call on 031 569 4119, we will gladly assist you with any inquiry. 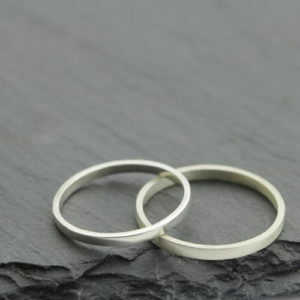 Our operating hours are from Monday to Friday 8:00am to 4:30pm.